Stunning Colonial style home on nearly 3 acres. Insulated concrete block construction, custom built by Theobald Construction. 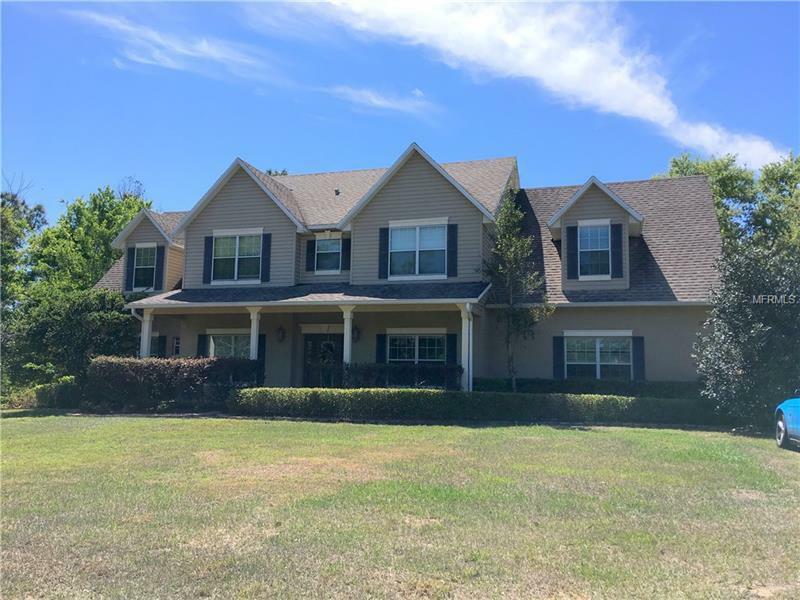 Main part of home features great room with fireplace, formal dining room, fully equipped kitchen with granite counters, farmhouse sink, plenty of solid wood cabinets, and breakfast nook with a view to the expansive back yard, perfect for enjoying a morning cup of coffee. The master suite is conveniently located downstairs and features a walk in closet and en suite bath with garden tub, dual sinks, and separate step-in shower. One other bedroom has its own bath, plus a half bath is downstairs for convenience of guests. French doors open to the huge open back porch. Flooring is 20" ceramic tile or lovely wood laminate flooring. Upstairs is an additional master suite with closet, and bath with dual sinks, soaking tub and step-in shower, and there is an additional bedroom. Also located upstairs, with its own outside entrance and porch deck is the in-law suite, with great room, bedroom and a small but full kitchen and bath. Great for the extended family. Home was built by present owners. Entire home and property have been meticulously maintained and is in AAA+ condition. Zoned for horses. Conveniently located minutes away from Florida's Turnpike for easy access to Orlando. Halfway between Atlantic Coast and Gulf of Mexico, come to Central Florida, where it hardly ever snows!